Jetta MK4 Audi TT 1.8L. 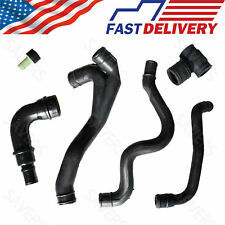 New Engine Crankcase Breather Hose Kit For VW Golf. 2002-2003 VW Jetta 1.8L Turbo. 2000-2001 VW Jetta GLS 1.8L Turbo. 2000-2002 Audi TT 1.8L. 2000-2002 Audi TT Quattro 1.8L. 2000-2002 VW Golf 1.8L Turbo. OEM NISSAN AIR INTAKE UPPER DUCT. 2007-2012 NISSAN ALTIMA / ALTIMA COUPE. WE ARE AN AUTHORIZED NISSAN DEALER LOCATED IN ILLINOIS. YOUR RESPONSIBILITY IF ORDERED IN ERROR. IT IS YOUR RESPONSIBILITY TO VERIFY THAT THE PARTS WILL WORK ON YOUR CAR OR TRUCK BEFORE PURCHASING. OEM NISSAN AIR INTAKE UPPER DUCT. 2008-2013 ALTIMA COUPE. 2007-2012 NISSAN ALTIMA SEDAN. FITS SEDAN AND COUPE MODELS. WE ARE AN AUTHORIZED NISSAN DEALER LOCATED IN ILLINOIS. YOUR RESPONSIBILITY IF ORDERED IN ERROR. Trending at $49.54eBay determines this price through a machine learned model of the product's sale prices within the last 90 days. BMW CRANKCASE VENT VALVE With all the hoses. E46 ALL BUT. E85 Z4 2.5I 3.0 WITH M54 ENGINE. OEM NISSAN AIR INTAKE UPPER DUCT. NISSAN VERSA. 2007-2012 HATCHBACK. 2007-2011 SEDAN. WE ARE AN AUTHORIZED NISSAN DEALER LOCATED IN ILLINOIS. WE WILL DO OUR BEST TO EITHER LIST THE ITEM YOU ARE LOOKING FOR OR SIMPLY. 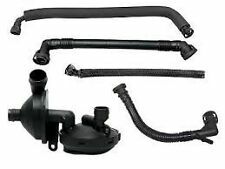 Engine Crankcase Breather Hose Kit New. For VW Touareg/ Audi A6 A8 Pair Timing Ch. 2000-2002 VW Golf 1.8L Turbo. 2002-2003 VW Jetta 1.8L Turbo. 2000-2001 VW Jetta GLS 1.8L Turbo. Audi A6 (4B2, C5) (1997/01 - 2005/01). OEM NISSAN AIR INTAKE UPPER DUCT. 2007-2012 NISSAN ALTIMA. WE ARE AN AUTHORIZED NISSAN DEALER LOCATED IN ILLINOIS. YOUR RESPONSIBILITY IF ORDERED IN ERROR. IT IS YOUR RESPONSIBILITY TO VERIFY THAT THE PARTS WILL WORK ON YOUR CAR OR TRUCK BEFORE PURCHASING. ES300 1997-2001. Solara 1999-2003. Avalon 1998-1999. One of the 2 bolts is snapped off as seen if you look closely ( pic. Look at photos and compare to yours! ). THIS IS THE RECALL PART NUMBER THAT WAS ISSUED. 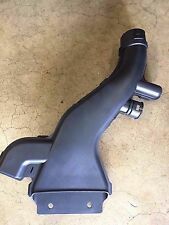 OEM NISSAN AIR INTAKE TUBE. FOR THESE MODEL NISSAN MURANOS FROM 03-07. WE ARE AN AUTHORIZED NISSAN DEALER LOCATED IN ILLINOIS. Buy Genuine Original parts for your vehicle and ensure the quality and fit of the part for your vehicle! The item part number is 13319576, 13319577. You are viewing 2012-2016 OEM Buick LaCrosse 3.6l air cleaner box. The item is listed as new other because its only missing original box as we provide in the picture above. OEM NISSAN AIR INTAKE UPPER DUCT. 2009-2014 NISSAN MAXIMA. WE ARE AN AUTHORIZED NISSAN DEALER LOCATED IN ILLINOIS. ALL TRIM LINES. No exceptions. IT IS YOUR RESPONSIBILITY TO VERIFY THAT THE PARTS WILL WORK ON YOUR CAR OR TRUCK BEFORE PURCHASING. 2002-2006 SENTRA 2.5 ENGINE ONLY. 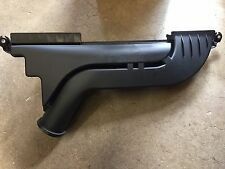 OEM NISSAN AIR INTAKE TUBE. WE ARE AN AUTHORIZED NISSAN DEALER LOCATED IN ILLINOIS. RUNS FROM MAF SENSOR TO AIR BOX. IT IS YOUR RESPONSIBILITY TO VERIFY THAT THE PARTS WILL WORK ON YOUR CAR OR TRUCK BEFORE PURCHASING. 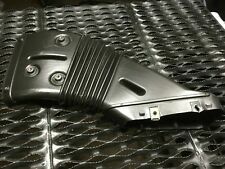 OEM NISSAN AIR INTAKE UPPER DUCT. 2007-2012 NISSAN SENTRA. WE ARE AN AUTHORIZED NISSAN DEALER LOCATED IN ILLINOIS. 2.0L ENGINE ONLY. IT IS YOUR RESPONSIBILITY TO VERIFY THAT THE PARTS WILL WORK ON YOUR CAR OR TRUCK BEFORE PURCHASING. OEM NISSAN AIR INTAKE UPPER DUCT. 2008-2014 MURANO. 2011-2016 QUEST. WE ARE AN AUTHORIZED NISSAN DEALER LOCATED IN ILLINOIS. Buy Genuine Original parts for your vehicle and ensure the quality and fit of the part for your vehicle! Hyundai / Kia OEM. Air Intake Hose. Manifold Lamp Knuckle Hub Hose Grill Flywheel Emblem. Injectors Tie Rods Switch Strut Speed. O2 Sensors. Engine Bearing. Engine Valves. Trending at $86.38eBay determines this price through a machine learned model of the product's sale prices within the last 90 days. OEM NISSAN AIR INTAKE UPPER DUCT. 2009-214 NISSAN MURANO. WE ARE AN AUTHORIZED NISSAN DEALER LOCATED IN ILLINOIS. YOUR RESPONSIBILITY IF ORDERED IN ERROR. IT IS YOUR RESPONSIBILITY TO VERIFY THAT THE PARTS WILL WORK ON YOUR CAR OR TRUCK BEFORE PURCHASING. 2016-2019 TOYOTA TACOMA (IMPORTANT NOTE: 3.5L V6 ENGINES ONLY). ALL TESTING DONE TO STRINGENT TOYOTA STANDARDS. 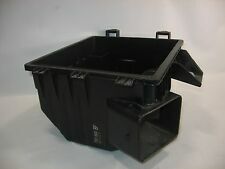 MOUNTED IN A BLACK ROTATIONAL-MOLDED HOUSING. UNIQUE 3-ANGLE 5.5" TO 4" FILTER FLOW ADAPTER. Few scratches here and there, nothing major. What you see in the pictures is what you get. The sale and the price is for what you see in this pictures. All hoses are intact and strong. No broken rigs. NISMO 16576-RNZ40 370Z R-Tune Long Tube Cold Air Intake for all 2009 Nissan 370Z models (including NISMO models). Designed by Nissan Motorsports (USA) for the 370Zs, the NISMO R-Tune long tube, cold air intake is a direct bolt-on cold air intake system for the '09 Nissan 370Zs. FEATURES REUSABLE TRD HIGH-FLOW AIR FILTER. TRD PERFORMANCE AIR INTAKE. 2017-2019 TOYOTA COROLLA IM. 2016 SCION IM. DESIGNED TO WORK WITH FACTORY ECU AND EMISSIONS SYSTEM. 2007-2009 HYUNDAI ENTOURAGE. OEM HYUNDAI AIR INTAKE HOSE. The opening for the resonator on this hose is slightly smaller than the resonator itself and may appear to not fit. We assure you this is the correct part for the above stated models. 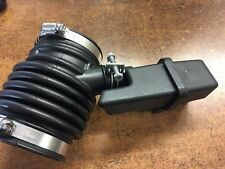 In good used condition, For the VOLVO S60 V70 AIR CLEANER INTAKE TUBE HOSE PIPE OEM Part number, 30792627, 8653644, 30680446 or 9475265. for the 2005 2006 2007 2008 2009 models. for more Volvo parts ! Compatible with OEM numbers: 7R3Z9600C, AR3Z9600D, 4R339C662AD, 4R339C662AE, 4R339C662AF, 4R339C662AG, 4R339C662AH, 4R339C662AJ, 6R339600AA, 6R339600AB, 7R339600AA,7R3Z 9600 C, AR3Z 9600 D, 4R33 9C66 2AD, 4R33 9C66 2AE, 4R33 9C66 2AF, 4R33 9C66 2AG, 4R33 9C66 2AH, 4R33 9C66 2AJ, 6R33 9600 AA, 6R33 9600 AB, 7R33 9600 AA.